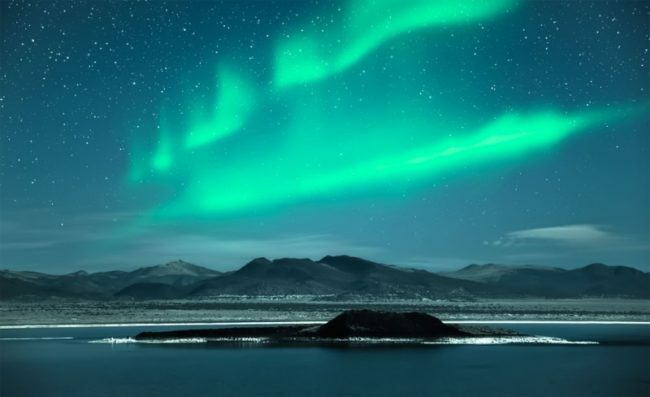 Quest for the Northern Lights – Arctic Explorer – The Great Canadian Travel Co.
Take in the beautiful cities of St. Petersburg and Moscow, as well as exploring deep into the Russian and Norwegian Arctic Circle on this luxury, private train, in pursuit of the magnificent Aurora Borealis (Northern Lights). Complimentary hats, Russian traditional felt boots and gloves, specially designed to keep out the worst of the cold, yours to keep! Prices are shown in US$, per person based on two people sharing a twin cabin and one person in a single cabin. Triples are not available on this rail tour. Pricing is accurate at the time of positing and is subject to change without notice due to currency fluctuation, changes to taxes and other unforeseen increases. We will do our best to advise you of any changes as soon as they are made available to us. 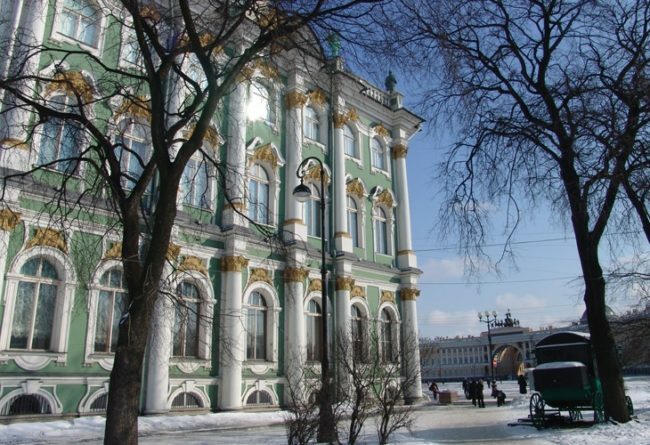 Flight arrivals into St. Petersburg and transfer to the luxurious Grand Hotel Europe (or similar) for a two-night stay. This evening you are invited to a champagne drinks reception with the opportunity to meet your fellow travellers before our exclusive welcome dinner. Specially selected international wines are included with dinner, as with all meals during the tour. Please note, the December 29, 2018 trip operates in the reverse order, beginning in Moscow and ending in St. Petersburg. St. Petersburg is a stunning city, crowded with splendid palaces, impressive historical monuments, wide boulevards, beautiful bridges and is renowned as the Ballet Capital of the World. St. Petersburg is beautifully decorated in preparation for Rozhdestvo (Russian Christmas) which is celebrated on the 7th January. 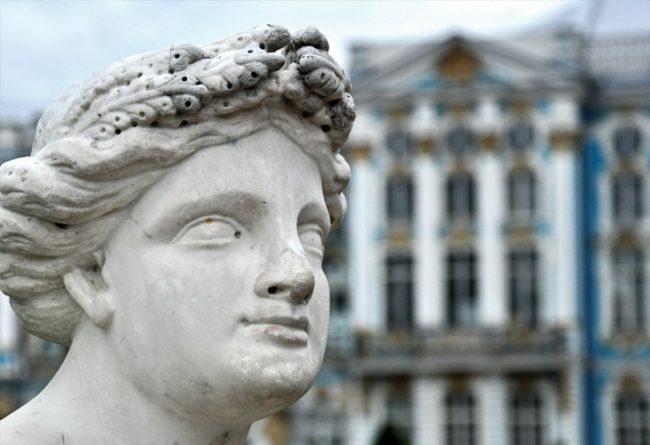 Today we have a guided tour of Catherine’s Palace in Pushkin and the Hermitage Museum, the former Winter Palace of the Tsars which houses the royal art collection of over three million works. It is one of the world’s largest and most impressive art museums. Make your evening in St Petersburg extra special by purchasing a ticket for a ballet or opera performance at one of the world-renowned St. Petersburg theatres (subject to schedule and availability and pre-booked at least six weeks prior to departure). Today there is a tour of St. Petersburg featuring the key sights including St Isaac’s Cathedral and Nevsky Prospect. This afternoon we transfer to the station to board Russia’s premier train, the Golden Eagle and settle into our modern, stylish cabins to embark upon our rail adventure to the Arctic Circle. We have a unique opportunity to celebrate our arrival on board at the signature Gala Caviar Dinner in the beautifully designed restaurant car. The December trips will see the car specially decorated for our New Year’s Eve Party tonight. Enjoy complimentary champagne, international wines and live musical entertainment for a New Year’s Eve you won’t forget. On the December trips, today we have the opportunity to have a relaxed start to New Year’s Day and to unwind after our evening of celebration. On both December and February departures start your day with a sumptuous breakfast. Spend the day reflecting on the many sights we are about to experience on our rail journey, maybe listen to a talk or simply relax and enjoy the ever-changing winter landscape outside our window. Today our train crosses the Arctic Circle on our quest to see the Northern Lights. This morning we leave our train with an overnight bag at the Russian border station of Nikel and we transfer by bus (approx. 90-minute drive) across the Russian/Norwegian border to Kirkenes for a two-night stay at the Thon Hotel (or similar). We will visit the magical Snow Hotel just 15 km outside Kirkenes. We’ll have a welcome drink in the snow bar and a tour of the Snow Hotel with its ice sculptures and snow painting by local and international artists. After a traditional meal including a reindeer hot dog in the snow hotel’s warm lodge restaurant we’ll take an evening bus tour in search of the Aurora Borealis (Northern Lights). If the sky is clear our guest astronomer will be on hand to advise us during star-gazing and will bring the night sky to life with his extensive knowledge. Optional Activities in Kirkenes: You may like to book some additional optional activities such as a Snowmobile Safari (2 hours), Snow Shoe Walking Tour (2 hours), take a magical excursion by husky dog sledge (2 hours) or go in search of the Northern Lights by husky dog sledge (4 hours). Each sledge is pulled by a team of eight dogs, and can seat two people and a driver called a dog musher. These activities have limited availability and should be requested at the time of booking the tour. Please ask us for prices. This morning a unique winter experience awaits on our King Crab Fishing adventure. The excursion begins with a snowmobile-drawn sleigh across the frozen fjords. Warm clothing and a helmet is provided. Through a hole in the ice you will be shown by your master guide how to catch the magnificent Arctic King Crab (which can span two metres and weigh up to 15 kgs). We then continue by sleigh to the nearby Fisherman’s Lodge. It is here by a cozy log fire that your King Crab meal awaits. The crabs you catch will be prepared and cooked for you here. Today we cross the border back into Russia and re-join our train which is waiting for us in Nikel. We’ll spend the afternoon on board travelling through arctic Russia. Relax and enjoy the ever-changing winter landscape outside your window or chat to fellow passengers. Afternoon tea with freshly baked Russian cookies will be served in our stylish Bar Lounge Car. We will continue to Murmansk, a city halfway between Moscow and the North Pole, and 120 miles north of the Arctic Circle. As the main city of the Kola Peninsula, it started as a tiny settlement and Arctic trading post. In 1916, under pressure from the British to establish a support port, Murmansk was founded. Thanks to the influence of the Gulf Stream, the port is ice-free year-round. Home port of Russia’s nuclear-powered icebreakers, we’ll visit the Nuclear Icebreaker Museum Ship. The historic city of Vladimir was founded in 990 and is one of Russia’s oldest communities. With an architectural wealth, it has been decreed a UNESCO World Heritage Site. 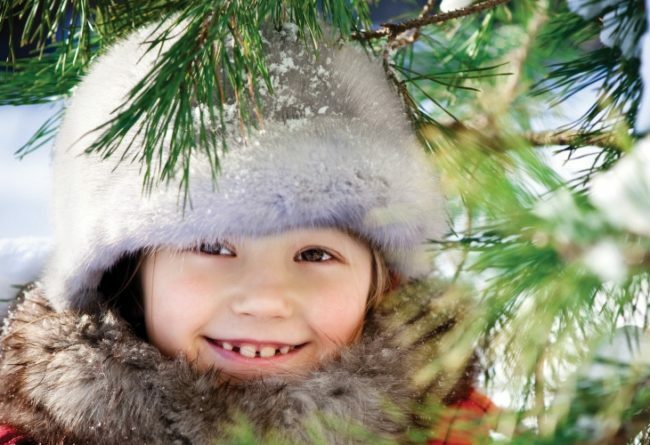 The December departure allows you to spend Rozhdestvo (Russian Christmas Day) here in this special place. Both tours will take in Uspensky Cathedral, built between the twelfth and fifteenth centuries. It is considered one of the most important and beautiful of Russian cathedrals, where many of the prominent Russian Tsars were crowned. From Vladimir we travel to Suzdal, one of Russia’s most perfectly preserved walled cities dating back to 1024, located 35 kilometres from Vladimir. Here we visit the atmospheric St Euthymius Monastery to witness an enchanting choral performance by the resident monks. 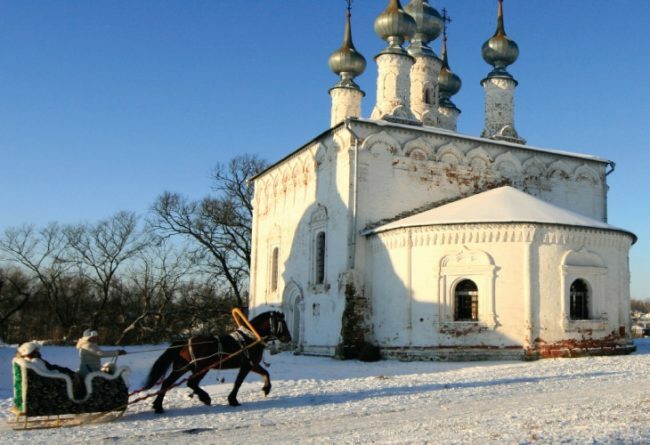 No Russian winter experience would be complete without the horse-drawn sleigh ride through this stunning location. Included in our time spent in Moscow is one night at the five-star Ritz-Carlton. Superbly located in Moscow city centre, and within easy walking distance of Red Square, the Kremlin and the Bolshoi Theatre, this historic hotel offers spacious and luxurious accommodation. The O2 Lounge, a stylish rooftop terrace, features panoramic views over the Red Square and the Kremlin. The spacious ESPA spa centre includes a hot tub, indoor pool, and 14 treatment rooms. Crystal lighting, candles and beautiful facilities create the perfect atmosphere, and a wide variety of spa treatments, as well as the sauna, are available. There is also a fitness centre, and a beauty salon. We visit the Red Square, an iconic symbol of Russia’s former military and political might with its eclectic mix of fascinating architecture, such as the ornate St Basil’s Cathedral’s magnificent onion-domed spires, the beautiful façade of the world famous GUM Department store constructed in Tsarist times, and the sombre and evocative site of Lenin’s tomb. We’ll also take a tour of the opulent and unique stations of the Moscow metro – showpieces of Socialist art furnished with statues, frescoes and mosaics, unsurpassed anywhere in the world. Our touring programme this morning takes us to the grandeur of the Kremlin – the spiritual, historical and political heart of Moscow. We will enjoy an exclusive private viewing before it opens to the public. We’ll also see the treasures of the Tsars in the Armoury Chamber. A return to the Ritz-Carlton late morning brings the tour to a close and airport transfers are provided for your departure flights. Lunch, if required would be by your own arrangement. Flights should be booked to depart after 3pm. These special rail cruise itineraries are planned and operated exclusively by Golden Eagle Luxury Trains. They are dedicated to never losing sight of the little things that really matter to you, the valued guest, so that you can experience these Voyages of a Lifetime in a relaxed and informal manner. The Golden Eagle is your luxurious hotel-on-wheels. Unpack just once and settle into your well appointed and comfortable en-suite cabin as you begin this adventure by rail. One of your cabin attendants, available at all times, will be on hand to look after all of your needs. 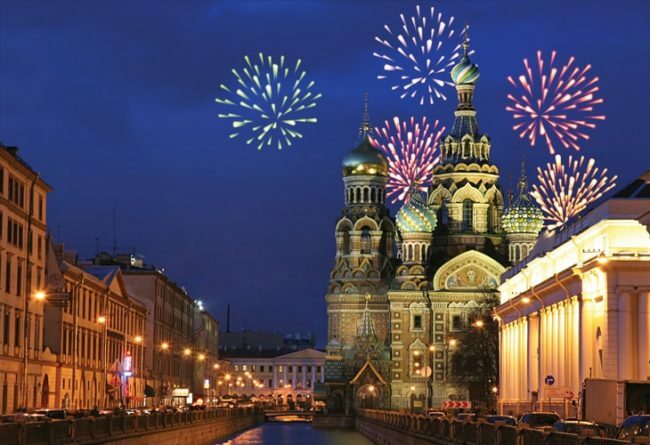 At the start of your adventure why not extend your stay in St. Petersburg with pre-tour nights? This gives you time to explore more of the city at your leisure and enjoy the lively atmosphere of the Christmas markets (December departure only) or go ice skating on one of the outdoor rinks in the central squares? 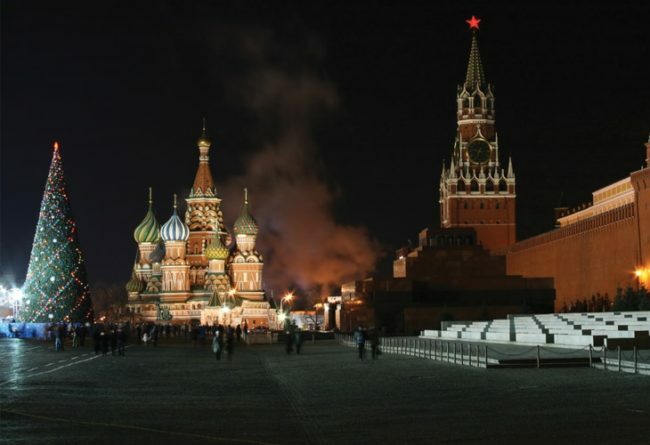 Or, you may choose to extend your stay in Moscow to explore more of the city at your leisure, go ice skating on the open air ice rink at Red Square or, if you’re on the December tour, enjoy the Russian Christmas celebrations. Aboard your luxurious private train, you can expect well-appointed en-suite cabins, fine dining and elegant surroundings – no matter where you choose to explore. First-class service is included as standard, with a personal cabin attendant service, available at all times, to look after all of your needs. The Golden Eagle has been carefully designed with emphasis on your comfort, relaxation and enjoyment. In addition to our private en-suite sleeping cabins, we offer a beautifully appointed Bar Lounge Car and Restaurant Cars. Unwind in comfortable surroundings and watch the world go by as you get to know fellow passengers in the social heart of the Golden Eagle, the Bar Lounge Car. The perfect location to relax and unwind as you watch the ever changing scenery pass by. Reminisce the day’s adventures with fellow passengers over afternoon tea or perhaps challenge your friends to a game of cards before dinner. Throughout your journey the Bar Lounge Car and Restaurant Cars will host a variety of entertaining and enriching activities such as Russian language lessons and engaging lectures on local history and culture from expert guest speakers. It is also here that our Tour Manager will organise a programme of activities for the journey ahead. Daily itineraries detailing train arrival and departure timings and information on the following day’s excursions and activities will be provided, plus useful weather forecast and time zone information. As evening falls, enjoy the sounds of the resident pianist playing on the baby grand piano in the Bar Lounge Car. Each night the bar stays open until the last person leaves. Floor plans of each cabin class are available on request.